It is the most wonderful time of year! We have survived most of fall, with Halloween and Thanksgiving just around the corner, and now it is time to gear up for winter. The three months of winter happen to be full of holidays and planning. 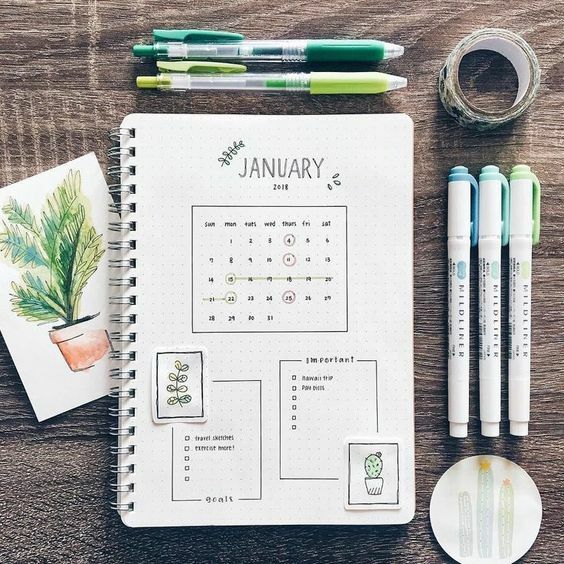 The best way to stay organized and on track this winter is with a bullet journal! 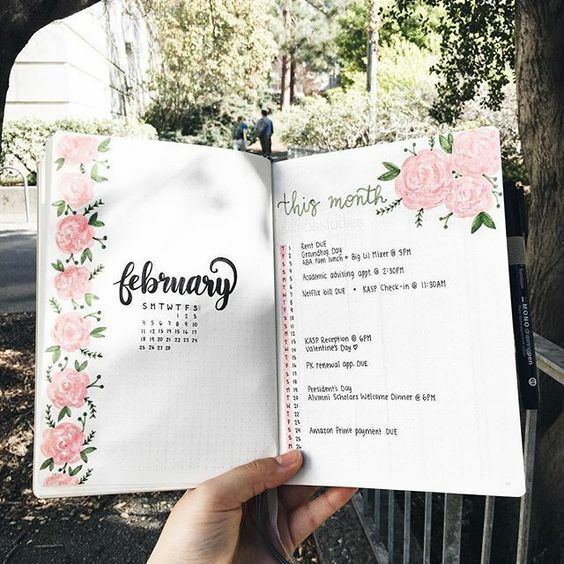 Start with breaking your bullet journal into months, this will help you keep track of things throughout the season. December, January & February will be action packed, so make sure you are planning wisely and counting the number of pages needed between the months. You can still do weekly calendars as one of your pages each month. Kate Hadfield Designs on Pinterest has some great examples for weekly calendars in your bullet journal. Of course your December pages are going to be about all things Christmas. It’s a very magical season, yet can be quite overwhelming. 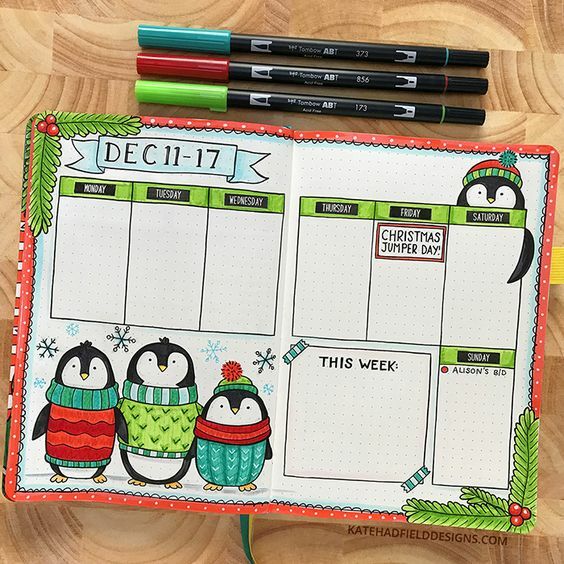 Use your bullet journal to keep track of all of your Christmas details! We will just scratch the surface with this and will expand on the next blog with a specialized bullet journal for Christmas! Gift Ideas – make a list of people you want to buy presents for. Jot down ideas and mark off who you have gotten presents for and what you decided to get them. Home Goods on Pinterest shows the ultimate gift lists ideas. Wrapping – now that you have your gifts, use a list to keep track of your wrapping supplies, gifts, what needs to be wrapped and what is completed. Christmas Cards – if you are like me, you have a huge list of people you want to send Christmas cards to. Your bullet journal will come in handy when it comes to keeping track of who to send a card to and how many cards you will need. 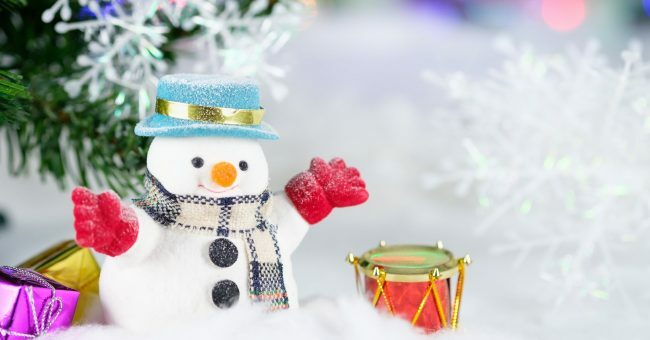 Christmas Bucket List – Just like with any holiday, you need to make a bucket list. Add things like decorating your Christmas tree, making Christmas cookies and cruising the neighborhood to look at Christmas lights. Christmas Plans – you can go as in-depth as you want and include what your plans are for Christmas Eve and Christmas are. This can include a menu for Christmas dinner. You can use the method you used in your Thanksgiving bullet journal for your Thanksgiving dinner. This is where you can also make a calendar of Christmas parties and events. Include what you are responsible for and what outfits you plan to wear! Christmas Decorations – one of the best parts of Christmas is decorating, but when you have a lot of decorations, it can be stressful. Keep track of all of your decorations and plan where to put them with the help of your bullet journal. Christmas Favorites – of course you have to make a list of your favorite Christmas movies, Christmas songs and Christmas shows. Keep track of when these are airing so you don’t forget to watch them! After the holidays are over, it is time to get back to reality. Use your bullet journal for organization and motivation. We will go into more detail in a future blog, but your bullet journal is perfect to use for New Year’s resolutions. Also, use your journal to keep track of any plans for January and organizing your resolutions and goals. Your February section will probably have a love theme for Valentines Day! Include a Valentine’s Day list of any plans and also your favorite things Valentine’s Day brings like candy hearts or heart shaped boxes of chocolate! Also, create a bucket list for Valentine’s Day and include things like making Valentines, watching romantic movies and eating lots of chocolate hearts! No winter bullet journal is complete without the following pages! 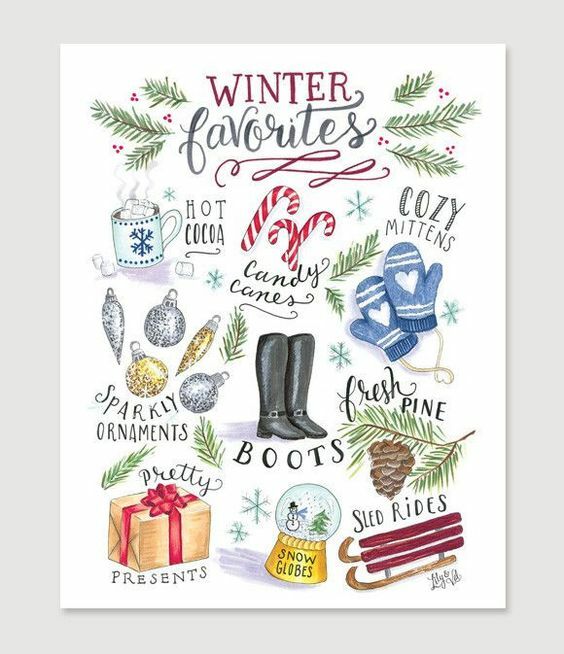 Winter Favorites – similar to Christmas favorites, but instead of focusing on Christmas, focus on all things winter! Things like snow, hot chocolate and my personal favorite – wearing boots! Winter Bucket List – expand on your Christmas bucket list by adding things like creating New Year’s Resolutions, going snowboarding, building a snowman or reading your favorite books next to a cozy fire. You can even create your own book list like suggested on girlxoxo.com. Winter Mood Tracker – just like for we did for fall, keep track of your daily moods. Use a snowflake and separate into the different days of the month. Create a key with moods and color in each day with the corresponding mood. Keep track of which days are snowy and cold so that you can correlate any moods with the weather. Also, pay attention to your moods on the holidays and days leading up to them. Meal Tracker – most people gain weight over the holidays. Prevent this by creating a meal tracker. Of course you can still splurge, but your meal tracker will hold you accountable and will help you make sure you aren’t over doing it this holiday season. Memories – create a special section to use your bullet journal to keep track of memories. The holidays can be so busy that we don’t take the time to enjoy them. Jot down memories and go back to read them after the holidays to relive the special moments. Bonus – Winter Theme Ideas! 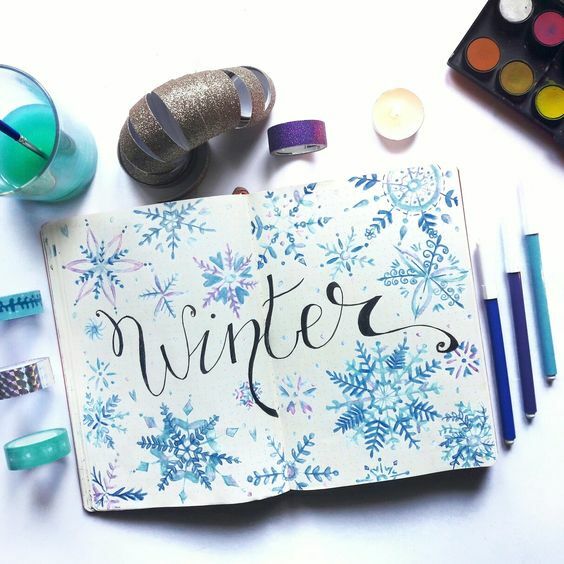 Have fun with your bullet journal and decorate it with winter themes! These themes include winter wonderland (think lots of sparkles), penguins, snowflakes, icicles, Christmas lights and more! 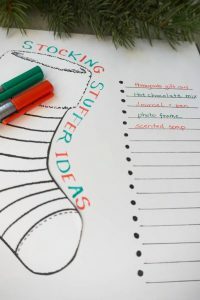 There are plenty of ideas that include printable doodles and headlines online on Pinterest. Also, don’t forget washi tape and stickers to add even more winter to your bullet journal!